We’re very excited to release the Swoop Dashboard which allows SMEs to assess their key business performance metrics that funding providers usually analyse when assessing funding applications. Your Swoop Dashboard takes in information from three sources – companies house, Xero and your funding application. Using this data, we can guide you on what funding opportunities best suit your needs from our database of funding providers. All the information you see on your dashboard is for your eyes only and is not shared with any of our funding providers on Swoop. Think of it as a fitbit for your business. You can track your business performance and your credit profile in real time. We will be continuing to add more data to your dashboard over the coming months but if there is any key information or data you would like us to track, then please get in touch via hello@swoopfunding and we’ll look to get it into our development roadmap. We’ve now released the Xero API integration for all users on Swoop. Using your Xero account, you can now assess and apply for funding options within minutes. 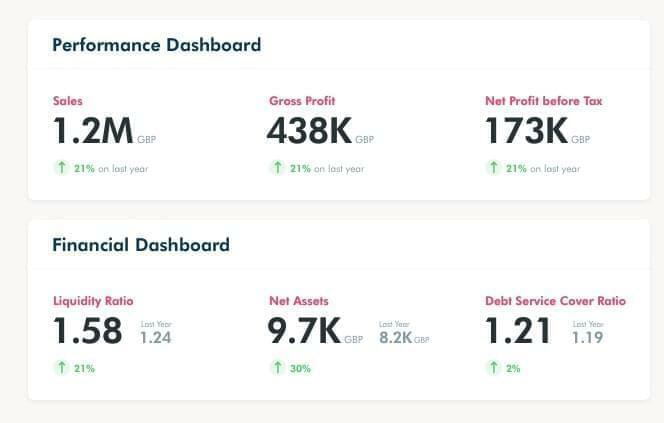 Swoop uses the Xero API to take certain financial and performance metrics from your accounting software which you will see reflected in your Swoop profile and dashboard. Swoop will continue monitoring your Xero account, so that it can notify you on new funding solutions that best match your current needs. Don’t have Xero? Don’t worry we’re working hard on releasing the next set of accounting APIs very soon to the platform. So, Sage, Paddle and QuickBook users – watch this space! The data taken from Xero is used to surface accurate funding matches to you. We do NOT share this data with anyone and is just used to assess your business against the current funding platform from within your personal Swoop profile. When creating an account with Swoop, you’ll notice we ask for your company name. We’re doing this, so that we can pull the information about your company that is currently available via companies house. There are a number of reasons why we look to do this. The first is it saves you a lot of time when ti comes to applying for funding or filling out application forms as we can pull a lot of your basic information such as address, industries, employees etc from companies house and auto fill your applications and profile for you. Secondly, we can deliver much more accurate matches based on your companies house information. For instance, we can instantly see what grants are available to you based on where you’re located or we can match equity funds to you based on your sector or business activities. While we pull this information across and showcase it to you, you will always have the ability to edit the information within your profile and in application forms if that information is incorrect or outdated. All information that is pulled across from companies house into your account is for your eyes only and is not shared with anyone other than the Swoop account user. For the last 15 years, we’ve constantly heard the question ‘Where can I get funding?’ We’ve sought to help thousands of businesses answer this through our own knowledge and networks within the UK & Ireland funding landscape. Today, we’ve taken the first steps in taking that knowledge and putting it into a platform that allows us to help many more businesses answer that question at scale. We’re delighted that the first version or Minimal Viable Product of Swoop is now live at SwoopFunding.com. This platform enables businesses to find funding options across loans, equity and grants within minutes of setting up a profile. Think of it as tinder for businesses. We take information from companies house, your accounting software and one simple short form and use it to match you against a pool of over 400 funding providers across the UK & Ireland. We combine a matching algorithm with decades of our teams funding experience to give you an accurate set of funding options that you can apply for. You will be able to see all your matches on completing our funding application form. You can assess each option individually and can apply via the Swoop Team to go for that particular loan, equity investment or grant. Our team will be with you along your funding journey to ensure you get the best matches and put your best foot forward when applying for funding. We are only at version 1 and we’re bursting with impatience to release the next set of features but we’re acutely aware that this application is purely to meet SMEs funding needs, so we’d love to hear your thoughts and feedback on the platform. You can always reach us at hello@swoopfunding.com and look forward to hearing your thoughts and ideas and making them part of the development journey.